FILM DESCRIPTION: What goes on behind the scenes of the food system in the United States? What problems do we face? 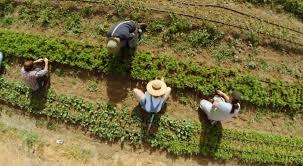 Man in the Maze showcases a diverse group of people, throughout the US borderlands, who come up with innovative solutions to mend our broken food system. "Man In The Maze" | Sundance Short Film Challenge from Sundance Institute on Vimeo.